Marine vinyl flooring is a great choice in situations where there will be water, oil, and mold and mildew. Its strengths make it ideal for boats and buildings at the dock or pier, and basically anywhere you are mixing oil and water. Marine vinyl flooring is water resistant as well as mildew and oil resistant. It’s not only for homes; it can be used in watercraft too. These are great qualities for any watercraft. Marine vinyl has other uses too. Marine vinyl fabric could be used for the seats in your boat or any interior design that you need for your boat and below the deck. Related: Check out our vinyl flooring section, where we have reviewed the best types for 2018! Marine vinyl is made from marine grade vinyl which is created in the same manner as regular vinyl. Marine vinyl is made out of a combination of vinyl resin and special additives. The additives for every type of vinyl are different and this is what creates the many different styles of vinyl. The result from this combination is called vinyl compound. This compound is then taken and used to create a form called a pellet. Once the vinyl is in this state, the manufacturers will be able to create the many different types of vinyl, like marine vinyl. Marine grade vinyl is the best vinyl and fabric that you can buy for your watercraft or any type of leisure vehicle. It is completely durable and weather proof. This means that it can withstand water, oils and any type of mildew that could occur. This makes marine grade vinyl ideal for its purpose. Vinyl is a strong material in any form, especially in marine grade. Buying a boat or a yacht is not a small thing because of the humongous costs involved in it. Now, consider not giving it adequate protection and thereby exposing it to the damages that can be caused by water and oil. This is one reason why most owners prefer giving them a marine grade vinyl coating at the very beginning. This can enhance the longevity of the floors considerably and save it from unwanted repairs in the future. Marine vinyl was created in 1893 and is one of the strongest vinyls on the market today. It can withhold much wear and tear. With the advent of newer vinyl making techniques, marine vinyl has even more positive attributes than it did originally. Vinyl has long been the choice for the strongest type of flooring, not only for boats but also for homes. There has been a rapid increase in the number of cases where people have opted for marine vinyl flooring for their kitchens. This flooring can save the kitchen floor from early wear and tear. Also, it makes it so much easier to remove oil stains without actually causing damage to the floor. When you buy your new boat or are remodeling your existing boat, marine vinyl should be your first and only consideration. There are many reasons for this. Marine vinyl is affordable and it is durable, a big factor with any boat. Your flooring and seat fabric need to be strong enough to withhold wear and tear. Another great factor is that the marine grade vinyl is water, oil and mildew resistant, giving it a much longer life span. In most cases, after giving it a new marine vinyl coating, the old boat would look as good as new. The money spent in doing this is absolutely worth it and hence should not be avoided at any cost. The few drawbacks that marine vinyl has would be the difficulty of installing it. With any boat, installing, any type of flooring is difficult. Marine vinyl is even harder to install because it barely has any give to it. This means that you must cut it precisely to fit around your seats, walls, or counters. Hiring a professional to install marine vinyl is easier, though it will cost more, but that saves you the aggravation. Also, trying to do it yourself can cause more damage to the floor. Do not consider this money spent as expenditure, but as an investment for the future. The rewards for this activity can be reaped in the immediate future. Save your energy for enjoying the boat, not installing marine vinyl flooring. Marine vinyl is a great choice when it comes to your watercraft. There is no other way for you to go! What other uses can you think of for marine vinyl flooring that needs this kind of durability? Go ahead and mix oil and water because marine vinyl will stand up to what you dish out. I am very interested in your vinyl marine flooring for my pontoon boat. I would like a sample. Please contact me at (phone number edited for privacy). I’m sorry, we don’t sell products – this is a website for info only. I’ve also edited your post, removing your phone number. Not a good idea to go about publishing it on the web for others to see. Thank you Flooring Lady. I am thinking about installing vinyl marine flooring on the deck of a fishing boat. This area will always be exposed to sun and rain because it is not covered or protected in any way. Is this advisable? Is so, what adhesive would you advise? Finally, as everything eventually wears out, can it be removed and the floor restored to original bare gel coat? You might be better off finding some sort of a boat site to ask these questions, this site is for homes. Not having a boat myself, I am totally unqualified to guide you. Yes, it’s probably oil resistant, most all of them are. They’re both pretty much the same, just that one is cold rated to 9 degrees more. No biggie. I have noticed that it is hard to find good marine vinyl. My brother ordered some for his boat, and it just seems like regular vinyl. Now in his boat, his existing vinyl seems to have a cotton liner on the backside, in other words, where the tears are, there is this cotton type layer on the underside of the vinyl, before the seat foam. I have noticed on one sight that their vinyl comes with 1/4″ foam backing. Some vinyl in the higher end boats feels very comfy. It almost feels like high grade leather. I have yet to figure out where to purchase this. What is the best thread for sewing this? Is there a name for the vinyl that i described above, on the high end boats? 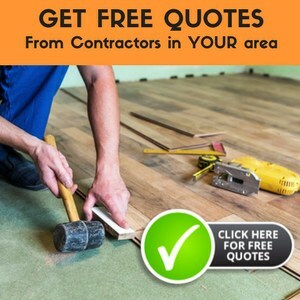 I’m sorry, but this is a website for flooring information. I am not able to answer questions regarding vinyl for boat seats. I’d like to replace my interior sailboat flooring with a ‘reverse teak and holly’ look. Wide, light boards with dark narrow strips. I’ve seen bamboo and teak on a few boats and liked that look. Have also seen reverse teak and holly on a friend’s boat. Hi Matt, I’m not sure what your question is. You could try a Google search to come up with some possibilties for flooring for your boat. I’m sorry, I don’t have a brand recommendation on this. I would check with a couple different suppliers and look for the pattern and quality you are interested in. Bamboo is mildew resistant and would probably look very nice in the interior of the boat. However, Bamboo does become sun bleached and may not work the best. An article that provides more information is Bamboo Flooring.